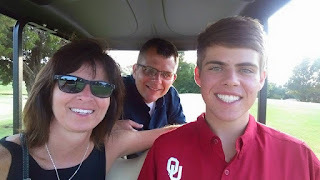 In just a few weeks our son will be off to college and Michelle and I will make the transition to being empty nester parents. Every parent since the dawn a parenthood has experienced the angst of this time. After years of family fun with events to attend, friends to host and plans to make soon the house will go silent and our child will be completely on his own. Only in our imagination will we know each day how he is getting along. Thankfully the business of life for a young person through the last couple of years before college in a way help you prepare for the final transition. It seems Michelle and I have had a lot of time these last few months to see what is going to be like when it is just to two of us.